Love the Partnership Activation Newsletter? Check out all the past Newsletters below. Purchase the Winter 2015 Partnership Activation Newsletter Here. Purchase the Entire Archive of 53 Partnership Activation Newsletters Here. We are excited to announce that you can now purchase all 53 issues of the Partnership Activation Newsletter, dating back to 2008, with just 1 click! Click the "Add to Cart" button above to purchase all 53 incredible Issues. 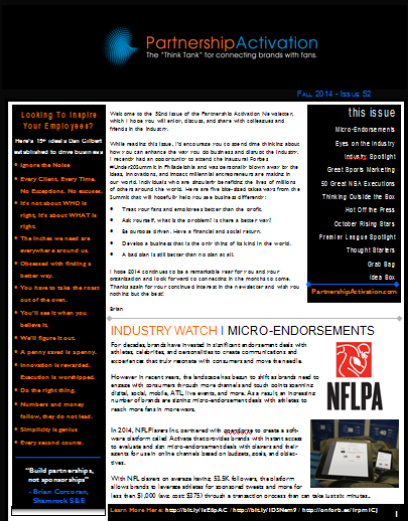 Purchase the Fall 2014 Partnership Activation Newsletter Here. Purchase the Summer 2014 Partnership Activation Newsletter Here. Purchase the Spring 2014 Partnership Activation Newsletter Here. 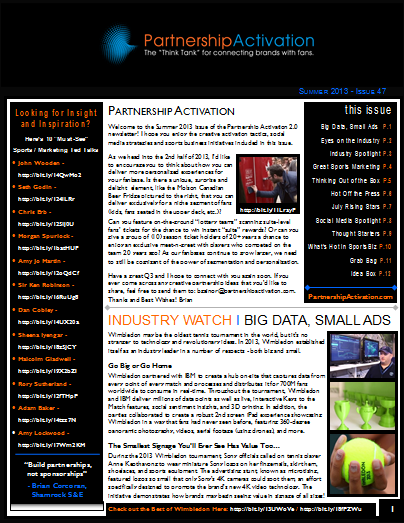 Purchase the Winter 2013 Partnership Activation Newsletter Here. 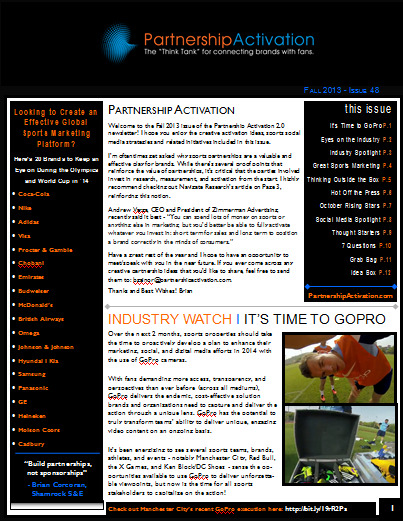 Purchase the Fall 2013 Partnership Activation Newsletter Here. 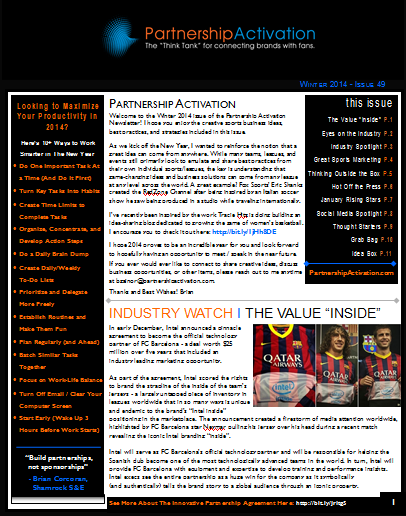 Purchase the Summer 2013 Partnership Activation Newsletter Here. Looking for more sports business ideas and best practices?